It didn't rain in Camagüey; it poured. The heavy, tropical kind of rain that you (or rather we Brits) associate with holidays. Big, fat droplets teeming down, bouncing like marbles off paving stones and spraying back up your legs as if you weren't sodden enough. That was the rain that greeted me in Camagüey. With only a day to play with, as an obscenely organised traveller I was distraught: How would I see all the sights in the allocated 24 hour time period if the rain didn't stop? There was famed artwork to pour over, galleries galore to visit, not to mention gorgeous colonial architecture to discover. All of which were to be found on foot and no-one, not even the dogs fancied stepping out into the deluge of water streaming from the heavens. A quick dash around Parque Ignacio Agramonte became possible during a lull before seeking shelter in Café Ciudad. While on my lengthy list of 'places to eat and drink', I had intended on going to the Museo Provincial Ignacio Agramonte and was vaguely irritated to be 'trapped' in a small cafe for hours. Fortunately, it was a great semi-accidental mistake, since it transpired they served the best Cuban coffee. Rich, warm, silky smooth and that was just the delicious square of dark Baracoan chocolate. So good. Too good. A second cup was ordered almost instantly and savoured. Astonishingly the bill came in at 50 CUP (approx 40p or 50 cents). Overhearing a Canadian expat asking his Cuban buddy in the loudest stage whisper I have ever heard: 'Where do you think she's from? Mexico? Spain? A local? She can't be European with that tan. No, she's got a huge camera look,' I found some fellow coffee drinking prisoners of the weather to idle the time away with. They heaped on recommendations for Cuba, restaurants for lunch and dinner, not to mention tips for Baracoa and Santiago de Cuba the next stops on the trip. Most useful, was the reassuring advice that Camagüey was compact enough to be experienced in half a day - which was exactly what I had left to play with. The rain easing to a drizzle, people had re-appeared outside and it was time to move on, now more comfortable at taking a leisurely pace. Which was fortunate, given that getting vaguely lost in Camagüey is a regular occurrence, especially if you lack spatial awareness and a sense of direction like me. The streets meander between various open plazas, frequently turning back on themselves, curving at all sorts of odd angles and popping out in unexpected places; the entire city has been designed not for efficiency but to disorientate invaders and seemingly confused tourists. Not that there were many tourists. Out of reach as a day trip, Camagüey feels like the middle child of Cuba: Slightly forgotten between the more popular cities but possibly the nicest. The pastel hued colonial buildings weren't to the same finish as those in Trinidad, the tourism services not as polished as Viñales, and the busy-ness was missing from Havana. Instead, there was a air of quiet content and pockets of intrigue. Here was where the 'real' Cuba had been hiding. 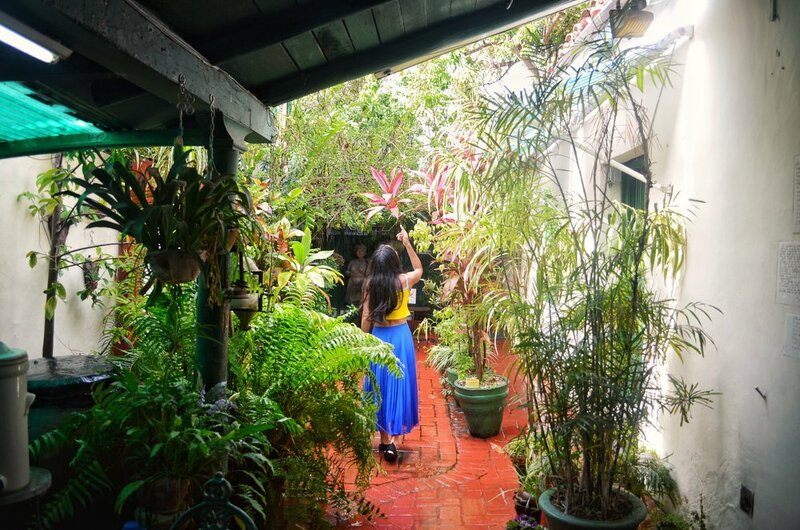 In Camagüey dilapidated buildings housed galleries quite literally bursting with inspiration; sculptures, pottery and paintings unconstrained by four walls spilled out into the street. Neighbours sat out on their front step, weather permitting, usually with a dog at their feet and a host of children running about. Hot spots of salsa music interspersed with rapid fire Spanish floated through the air, adding energy to the otherwise sleepy city. The notable absence of touts, perhaps a result of the rain, was replaced by a mellow demeanour which could be taken as nonchalance if not for the friendly smiles and warm greetings. Plaza del Carmen encapsulated the charm of Camagüey entirely. Chancing upon the square just as the sun peeked out, I had come to see the Iglesia de Nuestra Señora del Carmen rumoured to be one of Cuba's most photogenic city churches. Far more fun for capture, was the group of young boys playing a do or die football match with the church serving as one of the goals and the substitutes sharing the bench with a newspaper reading statue. Overlooking the game was the studio-gallery of the statue's artist, Martha Jiménez Pérez . A celebration of almost every medium available, you can see her sculpture, ceramics, paintings and drawings as the finished product and also work in progress. A distinct voice in the flourishing Cuban art scene, Pérez's work features abstractions of people; predominantly playing with representations of the female form. The gallery is fun and her work curious, I would especially recommend the hidden gem of a garden out the back which I can only imagine serves as a great spot for peace and inspiration. Although you can't take photographs inside the gallery, you can get one with her most lauded motif: The Chismosas (gossipers), three gossiping women. Featured heavily across her art and open to wide interpretation, for me they felt super reminiscent of Shakespeare's Three Witches (or Weird Sisters), but considering I haven't read Macbeth since high school I hasten a second opinion to my critique... Obviously this was too good a photo op to miss and I couldn't help myself so perched on the vacant chair in the Plaza to join the bronze life-sized Chismosas for a gossip and obligatory snap. Plaza del Carmen was also the food spot of choice. Don't judge me too hard for not straying far, the rain was a constant threat. 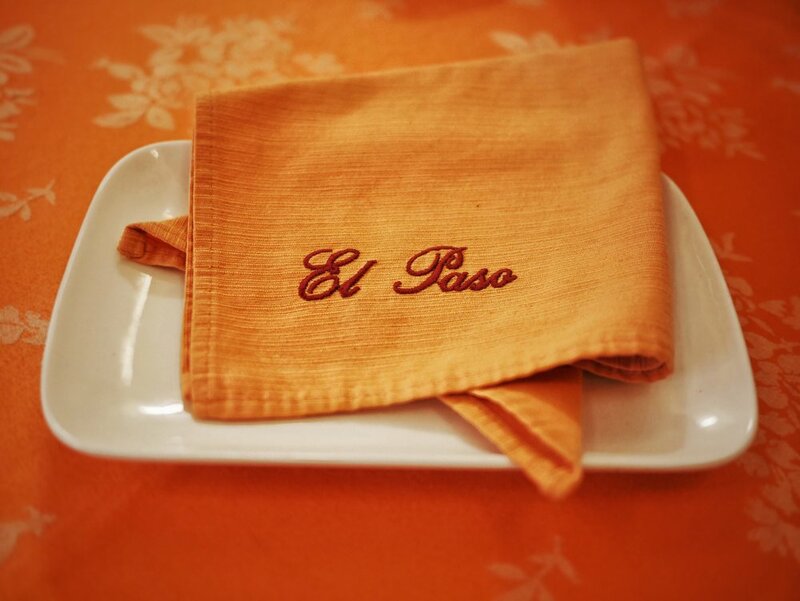 Dining at El Paso was certainly an experience. The menu featured what had come to be recognised as the standard traditional dishes of chicken, vegetable salads and ropa vieja (spiced shredded beef) and despite there being only one other table eating, it was still a typical Cuban drawn out, relaxed meal. What made it though, was the crazy bright interior. I don't think I've ever had a meal so orange! After a long and late lunch which slipped into dinner, there was just enough time to explore some more art galleries and plazas centred around the main road, Calle República. Unfortunately the public holiday meant a lot of the museums had shut early, along with the rooftop bar at the Grand Hotel. Luckily, while lost in a warren of alleyways that kept leading back to Plaza San Juan, I took a test shot of the pretty pastel coloured street to discover the true meaning of 'golden hour'. The day finished with my first ever race against the light, to capture spell-binding tones that seemed to dance across the city-scape giving it a ghostly, unworldly quality. I think I 'got the shot' or at least, the one for now! While my day in Camagüey didn't go quite to plan, I certainly had a wonderful experience and successfully captured some of my favourite photographs from Cuba and also memories. I would love to say that I have learned my lesson and will be more laid back when planning future travels but I know full well the the meticulous lists of things to do, see, eat and drink will be sticking around for a long while yet.